Vojtech Kral (Czech Republic) and Judith Wyder (Switzerland) won the Knock-Out Sprint which was the first of four races in the World Cup Final Orienteering 2018 in Czech Republic. We saw tight races already from the qualification in the morning, with two of the runners battling for the overall World Cup victory Natalia Gemperle and Olav Lundanes being disqualified already in the qualification. 36 men and 36 women qualified for the 6+6 quarter-finals – with the three fastest in each heat qualifying for the 3+3 semi-finals – always with 6 runners in each heat. 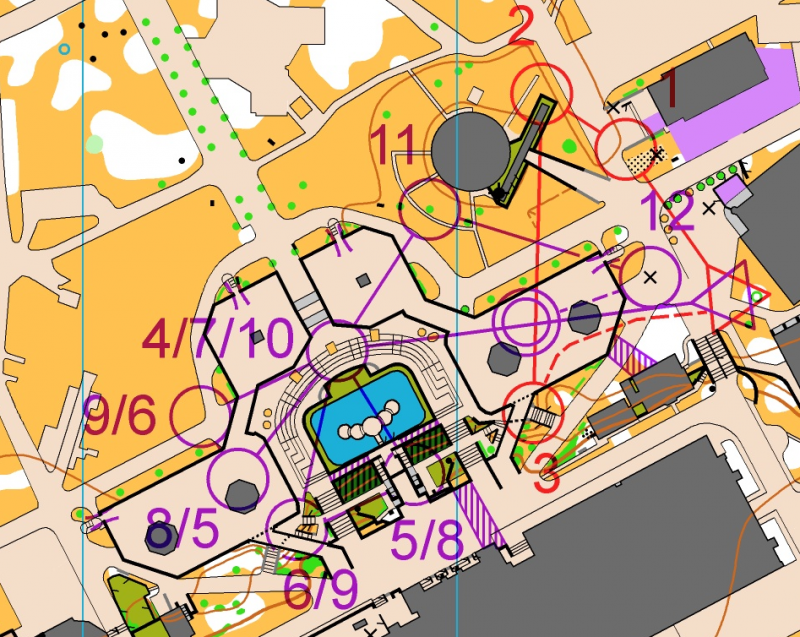 This was the first real test of the “reborn” Knock-Out Sprint format in the World Cup, a format which will be part of the World Orienteering Championships in Denmark in 2020. Both the quarter-finals and semi-finals where tight and interesting, including the first appearance of the “self choice forking” (or “map choice forking”?) in the World Cup, where the runners could choose one of three alternative courses A-C before the start. Some runners lost significant time due to a wrong choice already before the start – notably this was one of the reasons why Matthias Kyburz did not make it to the final. The six women in the final where Judith Wyder, Karolin Ohlsson, Tove Alexandersson, Sabine Hauswirth, Andrine Benjaminsen and Irina Nyberg. Overall World Cup leader (and nearly certaintly winner) Alexandersson was the big favourite, but a bad routechoice to the third control makes the Swede lose so much time that she is already nearly out of the battle for victory. Judith Wyder on the other hand runs a fast and good race, and decides the race against Karolin Ohlsson towards the end of the course. Tove Alexandersson and Andrine Benjaminsen battle for third place. A crash between them sees them both lying on the ground for some seconds, with Alexandersson getting up first and taking the third place. Below a GPS-animation of the women’s final is shown. Here a traditional “butterfly-forking/phi-loop” was used. This probably made the race nice, interesting and also fair for the athletes, but for the TV-viewers it was unfortunately impossible to understand much of what was happening. In the men’s race, Vojtech Kral takes a clear victory on homeground ahead of the Swedes Jonas Leandersson and Gustav Bergman. Somewhat unexpectedly there were no Swiss runners in the final – when is the last time there were no Swiss men in the Top 6 in a Sprint race in the World Cup? Below a GPS-animation of the men’s final is shown. There has been a lot of discussion about forking and Knock-Out Sprint. There have been two high-level events with Knock-Out Sprint lately; Euromeeting in Denmark with a very strong start field and this sprint in the World Cup. Two different concept where tested in the World Cup: The “self choice” method in quarter- and semi-finals and butterfly/phi-loop-forking in the final. At Euromeeting the courses where unforked. Unfortunately none of these methods seemed to work well, due to different reasons. To start with the unforked Euromeeting Knock-Out Sprint, this was in my opinion too much of a running competition. When the runners know that it is always safe to follow the runner ahead, the tactics are more “running tactics” or “cycling tactics” (stay in the shadow, run to the front towards the end) than “orienteering tactics” (earn time by taking your own routechoice). Mostly runners who know they are slow runners/sprinters make some “desperate” attempts to take a different route to try to earn some time. A typical example from the World Cup was the first control in the quarter-finals where the men kept together just to be in the group, instead of taking a risk with another choice. Next up the Final at the World Cup in Czech Republic. This was in my opinion simply impossible to understand for TV-viewers, with GPS-dots going in all directions and impossible to understand where the runners are heading and who is in the lead at any point in the race. Less complex butterflies and maybe also phi-loops can work to a certain extent, but there is always quite a large percentage of the time where you don’t really know what is happening. 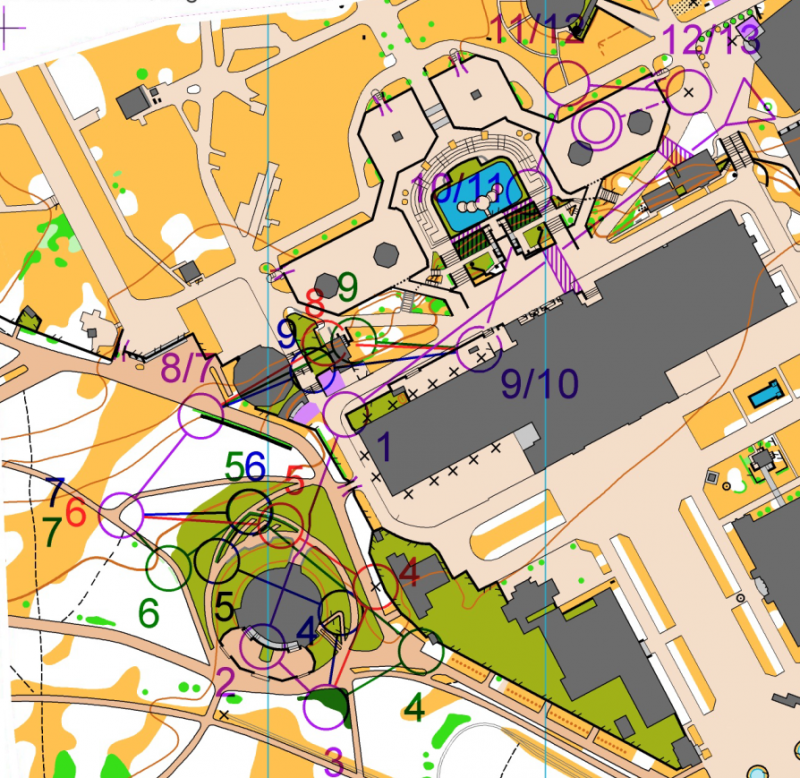 The “self choice”/”map choice” method at the World Cup showed some potential, but again the execution was in my opinion poor, making it difficult to understand what was going on in the forking part (but still a lot easier than for butterfly/phi-loop). There would be some easy fixes to be done however, to make it a lot easier for the TV-viewers, as indicated below. Agree about single control. But if the forkings are so simple that they can be understood by viewers, then they will probably be too easy for athletes, so until I see a race AND TV-presentation that actually works, I am sticking to no forking. Today was anyway very poor. These need to be simple on the map, but still have orienteering challenges. And just the knowledge of possible forking/different controls among the runners forces the runners to think instead of simply following. On the other hand, what about fairness? Is the “self choice” concept fair? Is it OK that part of the race is decided by a “route choice” the athletes make even before they start, with a tight 20 second time limit? In the World Cup semi- and quarter-finals it seemed to be to complex – it was difficult to understand the differences in the challenges. On the other hand, most of the men chose the correct choice even with this complexity, so maybe it is still OK? Also, you may gain an advantage through luck by taking the same choice as others (but at least it is a choice you have done based on what you think is fastest). A butterfly/phi-loop is probably generally more fair from an athlete perspective, but also here you can have advantages when by luck getting the same forking as another runner. 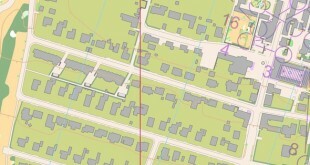 The unforked alternative may be viewed as the most fair alternative, but on the other hand here it is possible to just run behind the better orienteer throughout the course and pass him in the final sprint. Is that more fair? The live broadcast map is hopelessly cluttered when it comes to forking. What if most of the course could be faded in the live broadcast, leaving only the next few controls that the runners are going to punch being shown? Yes, that would definitely help. 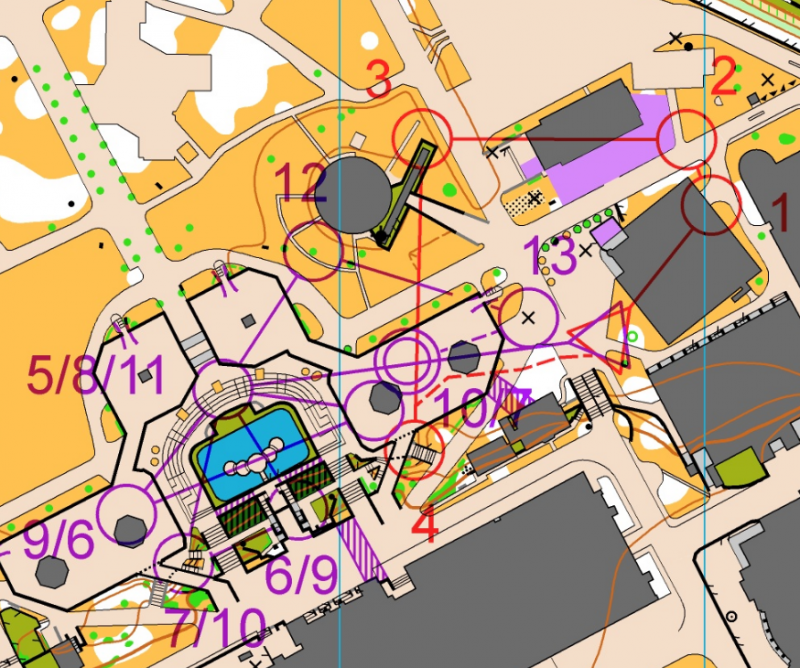 There are only two ways of creating a fun sprint for TV that is also a proper orienteering competition. 1. pursuit or 2. farsta. No discussion? No explanation why? Not very convincing, IMO. Map choice forking looks like a big joke. It’s too many routes to choose, calculate, estimate. Half of the controls are forked. What’s next ? Choose an entire course? It’s even more unfair as the distances varying a lot. @Beno: Distance varying a lot is fine, as long as it is not too complex to understand for the runners (and the viewers). Longer distance can be faster than shorter distance, just like in normal sprint orienteering. See my comment below about inserting a control along different routechoices to force choice of routechoice; of course different lengths are OK for different routechoices and is still fair? I agree with you, But this was too long and too complex. In my opinion there was a big part of luck. Thank you, Jan, for an interesting analyzis of todays knock-out sprint. And thank you to the Czech organiser who manged to arrange this highly complicated and complex competition without any mistakes, and also managed to test out different forking methods. And congratulations to the winners of this really challenging and fear competition. However, I agree with Jan that from a TV-audience perspective this didn’t work. The TV-audience wants to watch the decisive moments where the competition is decided, but when Kral was running better than everybody else in the forked part I couldn’t understand anything. There were runners all over the place running in different directions. And then suddenly, three controls from the finish line, Kral showed up first and with a gap to Leanderson big enough to secure his victory. Not very interesting TV, and I don’t think orienteering got any new fans today. The runners choice in the semifinal didn’t work either. The runners choice part was too long and too complex. Again the TV-audience didn’t understand anything before the runners were 4 controls from the finish line. But what could work then? I think I agree with Jørn Sundby that so far I have not seen anything better than no forking at all, but it requires a course with a lot of route choice alternatives. And I think it will open for a lot of interesting tactics we haven’t seen so far. And in the end, just to remind everybody of one of the main arguments for introducing sprint in orienteering some 15-20 years ago: “Sprint will make orienteering easier to understand for non-orienteers”. I don’t think we succeeded with that today. Thanks for the comment, Leif. I agree with you that so far we haven’t seen any forking method working well in a televised Knock-Out Sprint. From that point of view it was a pity that one did not manage to make a worthy setup with forking today, to show the best potential of the different alternatives. I don’t believe in no forking at all, simply because the runners know with 100% certainty that following is a sound strategy in all cases as long as you are the fastest in the final sprint. Yes, there can be interesting tactics, but why give away the opportunity to have some additional orienteering challenges in there? There you have a concept which in my mind is better than the unforked course because you have exactly what you had, but you have added two small details which increases the need to make you own choices (conforming with the nature of orienteering). You have also added three details which makes the excitement bigger for the TV-viewers: (1) The element with the routechoice before the start which gives a small boost of excitement even before the runners head out, (2) The element that you know that the runners will have to split up at some point in the course (if they chose different alternatives), i.e. a special focus point in the course, (3) An additional part to include in the storytelling, which is distinct from other sports. So, why would you use the non-forked option instead of this? From here you can develop the forking further with the KO-sprint concept, but this would be a starting point. Problem compared to relays is that runners know in advance which parts of the course are forked and which not. That takes away the effect of “you can’t simply follow”. One tactics for own choice may be: take any choice, make route-choices for that part in that 20 secs as much as possible. In the race execute those parts with that pre-plan and other parts “simply follow/etc”. Thanks for the comment, pee. Yes, I agree that it isn’t perfect, but it is still better than the alternative with an completely unforked course, which is simply follow all of the course. Who In Euromeeting won or qualified for the next round by following? And where did mistakes happen in the World Cup yesterday? In the forked or unforked part? Thanks a lot for the comment, Lars. Unforked Knock-Out Sprint is definitely not only about following to win the race, but you can get far by following. I think it is wise to reduce this a bit. My favourite approach, which I have tried to point out clearly, is not to make a complex forking like in the World Cup, but to use the “self choice” method to introduce some smaller variations (only single controls, either “force route choice” or small control variations) so that you can not run 100% behind the runner in front of you on all legs. And I think the important point here is more the small uncertainty introduced, which influences the runners mentally, than that the runners really have different controls. Can you tell me why a single forked leg where the runners choose the route ahead of the start with “self choice” is worse than a completely unforked course, the rest of the course (including the leg in question) being equal? Jan >> you are worrying too much about following? So what if one succeed in gaining an advantage, that’s a part of the format. But you forget that no-one will qualify who cannot run a proper individual sprint. 36 qualifiers and a short race of 8-10min in the qualifying round eliminate all who cannot orienteering. Those who are in the knock-out face are the best sprinters. From there one let the best man/woman win, and don’t put any random punishment on any one for picking the wrong combination, or being the only one picking the best and the rest of the pack is taking off without you. Lars: I am actually worrying more for the TV format than for the athletes. I think the TV format needs the forking to make it interesting enough to follow. I don’t necessarily agree that having a small part of the course that is difficult for spectators to understand is bad. You just view it as a “black box” and waiting to see who emerges from it first creates a bit of suspense for the spectators. It is not necessary to understand everything in a sport to enjoy watching it. Thanks for the comment, MChub. The problem with the “black box” as I see it is that in such a short event as a KO-sprint final (6-7 minutes), the “black box” is too long. For example, in this final the black box was more than 50% of the course, is that OK? I really did not understand much of why some runners where better than others in that final (except for Tove’s wrong routechoice), even after watching it 4-5 times in slower playback. Is that OK? I should have the background to understand what’s happening here..
Good analysis and comments Jan! Keep ut the good work. Before Euromeeting and World Cup I was considering the self choice as the best option but now I have more doubts. The organisers of Euromeeting prepared very good courses with many route choices (no forking was used and runners were informed about it). Please, have a look at the tracking from Denmark (even if it is not accurate enough and it would not work well for TV) https://www.tractrac.com/web/event-page/event_20180920_Euromeetin/1430/ The runners were mostly running together, but split in some cases, and sometimes it was perhaps decisive (e. g. Matthias Kyburz at the end of the final course). 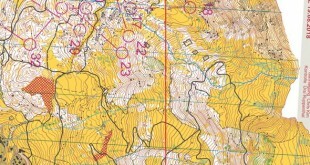 At the same time, the possibility of winning an orienteering race without looking at the map is disturbing me too much. The self choice yesterday was too long and too complex, and it was very hard to guess what was the fastest option. In my opinion the variants should have been approximately equal in time. Yesterday, it added a big element of luck. I still think that the self choice is interesting and should be tested more. However, it should be used for a shorter part of a course (than in the SF yesterday) and not be decisive in terms of time. More could have been done this time to make it more understandable for viewers (better colours, corresponding letters, clearly showing who has chosen which alternative, and not mixing it with an earlier part of the course). The butterfly in the final was chaotic and let us wondering how and where the race was decided. I do not think that a butterfly is a way to go for a knock-out sprint. Yesterday, the last minute should have been covered with cameras much more, especially in the women’s final. That was a miscalculation from the TV as we did not get to see the most important part of the action. The area’s complexity with so many different stairs made it even more chaotic and I would say also a bit unfair (difficult to judge different route choices with so many stairs involved). For several reasons the knock-out sprint is extremely difficult to organise and I wonder how this will work on a national level (in Norway there is supposed to be a national champs next year). For 4 races (qualification, QF, SF, F) in one day, you need to find a suitable area and probably at least 2 arenas (both Euromeeting and WC used 2 arenas). The whole competition area should be completely without traffic. The knock-out sprint is already dangerous as it is because of the high speed and head to head racing. We should not add a risk of a collision with cars. The experience I have from organising this kind of head to head trainings in urban environment makes me less and less eager to do it again. I do not want to feel responsible for any serious accident and injuries. From the TV point of view, I think it is also very difficult to show clearly what is happening. It goes so fast. The running camera works often better that “jumping” from one point to another. Tracking, especially in streets with high buildings and passages through buildings is unfortunately seldom accurate enough. And for knock-out sprint you need better accuracy than for a normal sprint, because you want to see the correct order of runners. To set good courses for a head to head sprint race is the most demanding course setting task of all. If you do not have an interesting area with route choice possibilities, the race can easily turn into a pure running competition. Small mistake on a map or a sudden change in the “terrain” (car blocking a street…) can have decisive impact on the result. On the other hand too complex terrain and courses (with artificial labyrinths, stairs, forest of varying runability, steep climbing…) can turn the race into a lottery. Too much luck involved will demotivate the runners. I think future organisers will need a lot of support. The knowledge should be spread on both international and national level (seminars, resources on IOF website…). Many runners enjoy running these races and I hope that knock-out sprint can, with further effort, also be made more interesting for TV spectators. I believe that at MOC (in March 2019 in Italy) a knock-out sprint will be offered again. If it is the case, it should be done with tracking for all runners and preferably also some cameras, to be able to evaluate it better than in the last years. Thanks a lot for thoughtful comments, Eva! I did look at the Euromeeting Knock-Out Sprint, and although I think the courses were good, following other runners was still a very sound tactic here, and as you write “the possibility of winning an orienteering race without looking at the map is disturbing me too much”. I am 100% with you regarding both how the self choice worked yesterday (much too complex) and the phi-loops (even more complex). I think the best way forward is to use the “self choice” method, but only with single controls, and partly to decide between routechoices (see my comment further up). If the “self choice” method is used in a subtle way, I can not see any advantage of using a non-forked course instead, can you? And yes, a lot of support is needed. From my point of view it looks like the Czech organizers did not get enough support from the IOF in this case – for a local organizer it is not easy to understand all the aims of the race based on the information which is available. You are spot on, too many romantic orienteers are involved. The are completely blind for the fact that unforked knock-out can be extremely interesting to watch. I hope the WOC organizers are allowed to replicate why they did at Euromeeting, but of cause fine tune everything using the immense amount of experience they got out of it. What most people didn’t realize was how the organizers tested a number of smaller details of course setting. Long leg to control #1, usage of longer legs with route choices, number of controls, balance between easy and complex legs and more. They haven’t even started yet to change the area between races or even during using fences. If the Euromeeting-organizers would share this information, maybe people would be convinced. Is there a document available where I/we can read about these experiences? Agree with Lars, I thought Euromeeting in large parts was good. And they did it the right way- started a bit easier and they can build on that and take further steps during next 2 years. What will happen in an unforked knock-out sprint when the athletes have run 20 races? 50 races? When they know each others strengths and weaknesses in this event? When younger athletes start to train in a professional way for this event? I think it could get really tactical and interesting. Right now few (none?) know how to play the game, yet. Therefore many choose the “safe way”. Athletes will learn what HE/SHE needs to do to win. If an athlete manages to go through three heats only with following and sprinting- he deserves it, because the others played their game badly and “gave” him the win. And then they will learn. It should be head to head racing. In Prague it was quite large parts of individual running- not head to head. I prefer that the event offers something completely different than the individual sprint. That said, I see Jan’s point of adding that extra “spice” to the TV-broadcast by introducing some kind of element during the race. I definately think that is worth working on. But right now we are quite far away in the tests and events I have seen, and I would like to start in the other end- start with unforked courses- see what they can do- and then look to add elements if needed later. The early remit for creating the new sprint event for WOC was that it should be “first to finish-easy to understand-TV friendly”. The event is now first to finish, but it fails on the two last goals. In a very early stage of the project I gathered feedback from TV-and media, especially key persons at some main broadcasters about the event, also with experiences from the knock-out sprints already held in the World Cup 2010-2012 (and televised). It is interesting to see how fast that feedback got lost when the orienteers moved on with the project. The feedback from TV was very clear that forking was too complicated and should be avoided. Therefore a “chase model” was developed together with broadcasters, who were very interested in that concept, that would allow unforked courses without “only following” But it was rejected almost immediately, and forking was quickly introduced as well. It is quite possible that we some time in the future can find a forking system that can be fair for the runners and presentable at the same time, but we don’t have that at the moment, which yesterdays event showed clearly. The period until the first WOC in 2020 should be used to develop a good TV-model for presentation of an unforked knock-out sprint. That seems to be the only chance to have an event in 2020 that ticks all the three remit boxes “First to finish-easy to understand-tv friendly. As a spectator and orienteer, I enjoy watching well-produced TV broadcasts that manage to show everything that matters about orienteering: understanding the map, making (fast) decisions and giving it all physically. What I — and apparently many other spectators — do not enjoy are races where the athletes would be bored to death if they weren’t so busy following each other at insane speed (like the pursuit in Norway). I think the main decision that has to be taken by the IOF is this: Do we want (1) competitions, courses and race formats that are challenging and enjoyable for the athletes while also being as TV-friendly as possible OR (2) competitions, courses and race formats that are TV-friendly while also being as challenging and enjoyable for the athletes as possible. It means to decide which of the two requirements is the “must-have” and which one the “should-have”. Which of the two options do we want? In my opinion, the approach of starting from “maximally TV-friendly” and then moving a bit towards “athlete-friendly” is fundamentally wrong. That’s the approach I see when I read “The period until the first WOC in 2020 should be used to develop a good TV-model for presentation of an unforked knock-out sprint.” TV suitability first, orienteering event quality second. In my opinion, wrong. And please, everybody who complains about the competition and/or TV production being “not good enough”, “a failure”, “not working”, “bad job by the organizers”, etc. Why not give them some credit for pulling off a very complex competition that hardly anybody (nobody?) has ever done before, without major hick-ups and a TV production that did have its flaws but was still enjoyable and exciting to follow. At least it is _much_ more complicated to arrange. Whole knock-out -stuff is very demanding for organizers anyway. And in most cases need of forking restricts other parts of course setting. You ask me if I could believe in a runners choice version which actually is a pre-choice of different routechoices. In other words: a runners choice part that only consists of one forked control. And I agree that this could work. It will split up the runners for a short while, and will open for some additional tactics. Maybe it will be here the race really starts. When the runners get some more experience with knock-out sprints we will probably see the groups in many cases just running very slowly from the start, but they will not dare to do that anymore when they are coming to the runners choice part. However, I agree with Jørn Sundby and Lars Lindstrøm that we don’t need to be so afraid of straight courses and that somebody can have the tactic to just follow. On a number of sprint trainings in our club the last months we have had mass start on sprint intervals without any forking. And courses which requires a lot of fast decisions, and having a lot of different route choices, are in most cases splitting up the group. And with map-reading all the way to last control and a short sprint to the finish line, say 30-40 meters, it is actually quite difficult to succeed with the “just-follow-strategy”. If you are three meters behind on last control you will not win. At least you have to be fully prepared for the last 2-3 legs and perform these legs at full speed without any hesitation to be able to be in the front at the last control and have a chance for the win. Todays sprint and forest WOC disciplines are developed with focus on the athletes, ref. Holger. I am not afraid we are destroying our sport if we are adding one more sprint- and forest discipline were we are prioritizing good TV entertainment as number one. Todays athletes will still have the traditional existing disciplines, it will not been taken anything away from them. And when I see the young and up-and-coming runners training sprint intervals with mass start and no forking, I know that there is a lot of future athletes that will love this kind of easy-to-understand first-to-the-finish competitions! Maybe it is time to resuscitate Micr-O again? It proved to work well and be understandable for TV. It should be easy to make all the forkings equal. I also think many of us like the idea that your navigation should a part of deciding the winner. By the way – penalty loops does not work for the sprint so mispunching equals disqualification. We do seem to be overcomplicating things. One thing thats being ignored is how complicated this KO-sprint is to organise. 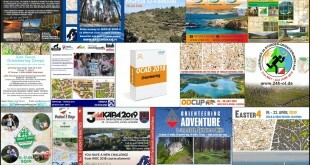 It means very few orienteers will ever get to try it, and nobody will care because they don’t understand the challenges. We’ve been running a straightforward “first to finish-easy to understand-TV friendly” format for years – the prologue + chase. Experience is that people can catch maybe 10-15 sec “just by following”, at which point they’re in major oxygen debt and “TV-friendly” things (mistakes) start to happen. There are many ways to introduce forking, but its not really needed. Plus all countries can have runners in the final. All sports are more TV-friendly when you have someone to support. We just didn´t want to use the unforked course, because we think it can downgrade the orienteering to a pure running competition. On the other hand, we didn´t want to use a selfchoice method in the final, because of its fairness. We discussed using the unforked course and finally we chose the butterfly. I´ve had some feedback from runners and they liked the courses often, even the butterfly. However, they said it was very hard to select the right forking during the selfchoice (SF) and they commented the butterfly as “little bit unfair”. People from TV liked the selfchoice, but not much the butterfly. However, they had invented that nice graphical white/black dot system for the butterfly in the final and I think it was quite usable and understandtable. Thanks a lot for your comments, Jan – it is always very nice to read the course-setters point of view. Only the organizators know about all the constraints set on the course by many, many different items. But I am a bit surprised that it seems (from what you write) like the IOF was not more involved in the forking methods used – and how these methods were applied, as this was probably the most important test before they have to make a choice about the format in the future. And as they are the ones who should push for the TV-friendliness more than you as a course-setter (the issues I see with the courses are mostly about TV-friendliness, for the runners I think they worked quite well – setting courses for a KO-sprint is not easy!). BTW: I am happy you didn’t use the unforked course, it is very important to get these experiences with forked courses to form the discipline in the future. Lots of learning here. And nice to see that your conclusion is the same as mine, an easier form of self-choice.